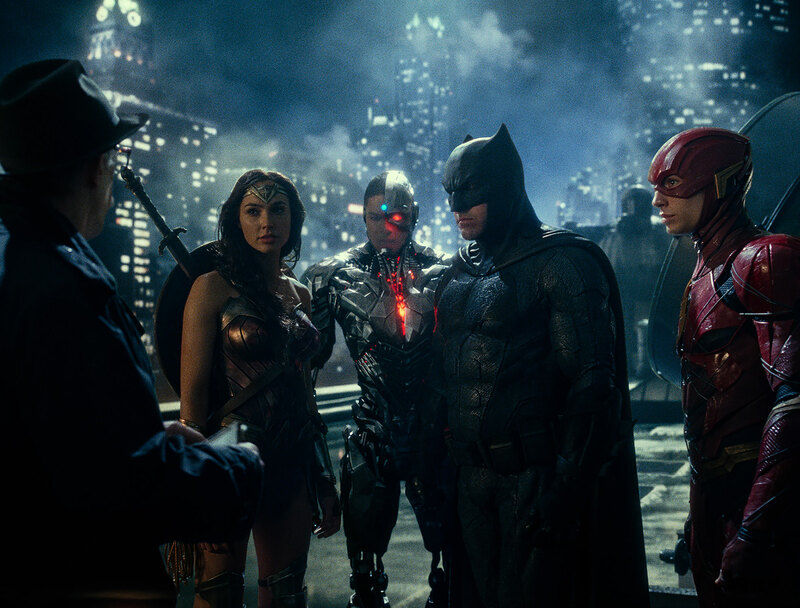 As I sat down for the newest entry in the DC Extended Universe, there seemed to be a general consensus in the theater: “I hope this movie is good.” That’s not necessarily an odd comment to make by itself—after all, we want all the movies we see to be good. But there was a hint of desperation in the statement, the “I’ve sat through some unsavory films in this cinematic universe” consensus, that permeated the audience. And isn’t it a bit sad that we’re at that point when it comes to DC movies? For a lot of us, names like Batman, Superman, and Wonder Woman are like nerd royalty, whether it’s because of their comics, their cartoon adaptations, past movies, or hit TV shows whose theme songs we still sing. So, if any character’s gonna have a stellar big-screen version of themselves, it should be these defenders of justice . . . right? But let’s just say that things so far have been interesting in DC’s attempt to create a movieverse. Which brings us to Justice League. Full disclosure: I haven’t been too pleased with the DCEU, not since the whole “Martha” debacle of 2016, followed by that disjointed music-video compilation that just so happened to have characters from Suicide Squad. 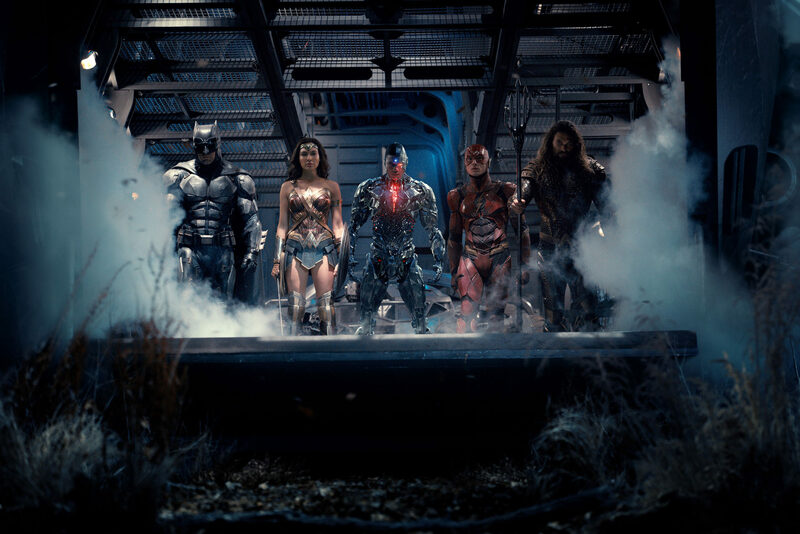 With Wonder Woman hitting theaters this year, however, things were looking up, and I hoped that Justice League could, at the very least, be watchable. But Justice League is more than that. Justice League is actually good. Let’s get the bad out of the way first, though, because the movie is far from perfect. In fact, the opening is pretty weak; it brought back my messy memories of Suicide Squad. The scenes don’t really mesh well, and it’s hard to tell what they’re trying to get at. Batman’s chasing after someone we assume is a criminal, only for him to have to abandon that chase—kind of—so he can deal with those screeching creatures that we’ve seen flying through the trailers. There’s some forced dialogue about a certain thing that happened at the end of Batman v Superman, and then we get a clip show of what our heroes are up to before Bruce goes on his recruitment journey because something wicked this way comes. Speaking of Mr. Curry, he and the other members of the soon-to-be Justice League get miniature origin stories. This method of introduction works pretty well—for the most part. The snapshot style is good for some characters while it feels shoehorned in for others. 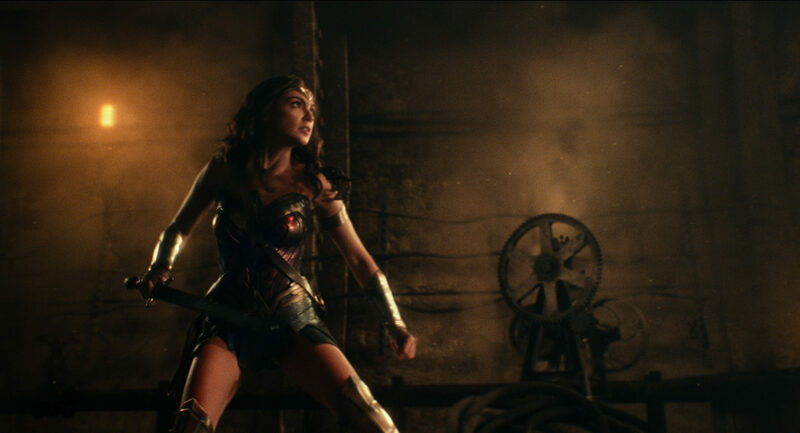 Seeing Barry’s father in prison is enough of a glimpse for that story, but having Mera give a monologue about Arthur’s mother felt forced, while Cyborg gets over the whole “my dad turned me into a giant robotic hunk of dude” thing quickly because, well, we’ve only got an hour and 59 minutes of movie. Then there’s the big bad: Steppenwolf, a villain so vicious that all kinds of superpowers had to come together to fight the good fight. He’s one of those astronomical evils that couldn’t be killed, so the heroes and heroines of the past settled for locking him away, and now he’s back to wreck shop. The tragic thing about him is that this was one of the best parts in the opening act. 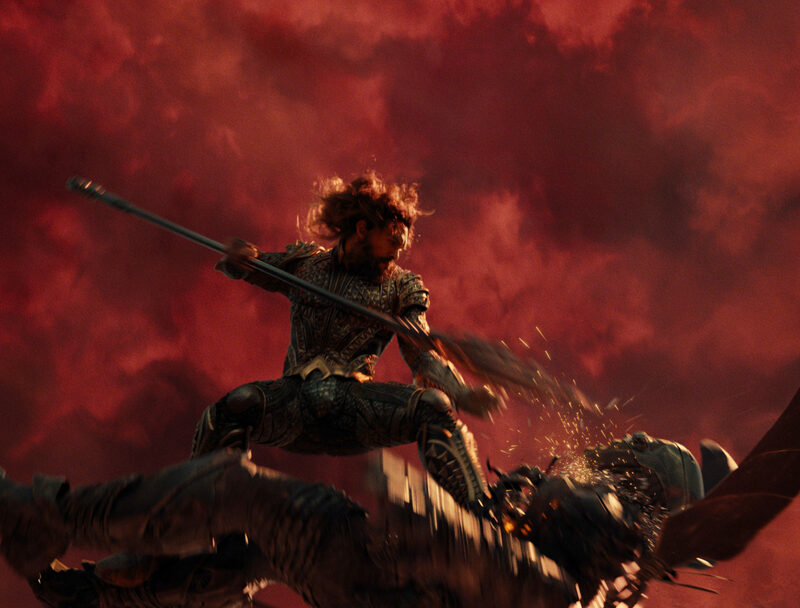 His battle against the Amazons is exciting to watch, and his backstory builds him up into this powerhouse who should be feared. But this all kind of dissolves throughout the film as he gets reduced to “the one who’s obviously there to get the team together,” especially because the solution to stop him is so predictable. Still, he’s better than a lot of the villains we’ve been getting in the DCEU, even if he’s underutilized. All that said, Justice League is still worth the price of admission. Why? Because the League itself is awesome! Gal Gadot continues to be a living embodiment of the Amazonian princess I’ve been in love with since Lynda Carter. 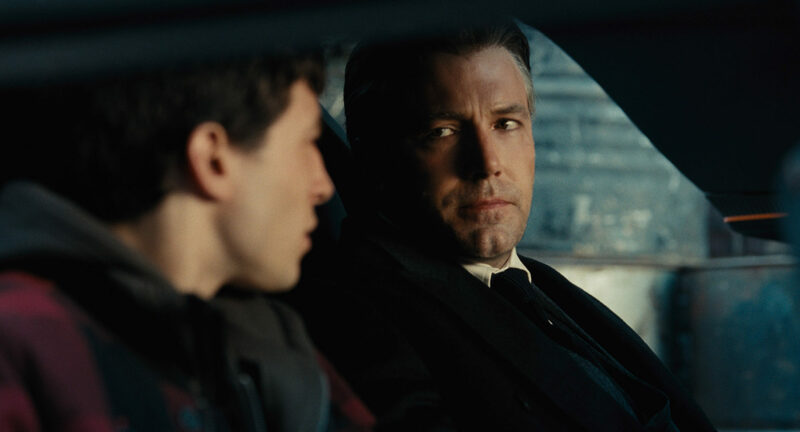 Ben Affleck’s take on the Caped Crusader is not nearly as brooding as it was before; he’s likable and more well rounded than he was in Batman v Superman. 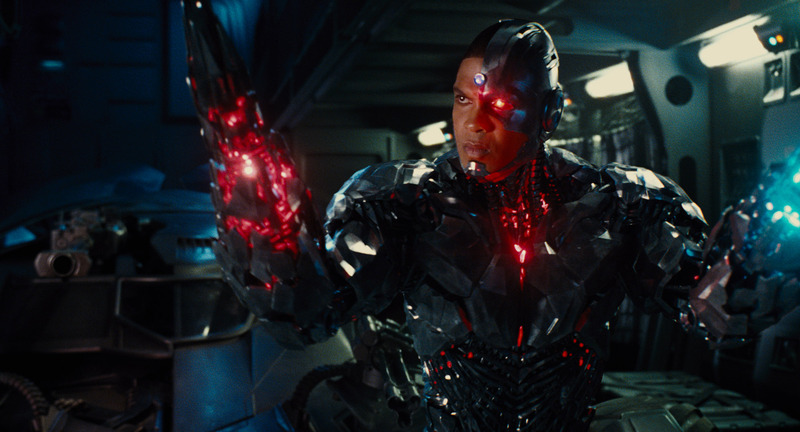 Then there are the three newcomers: Jason Momoa’s Aquaman, Ray Fisher’s Cyborg, and Ezra Miller’s Flash. These three were, admittedly, the ones I was the most concerned about since we hadn’t been introduced to them before. I was especially concerned about the Flash because I am openly head-over-heels in love with Grant Gustin’s take on the speedster in the CW’s TV series. But they all knock it out of the park. They all have their own motivations and personalities, and you end up rooting for all of them—especially when they team up. And honestly, that is the best part of the adventure. Sure, the members of the League play somewhat stereotypical parts: the Flash is funny and awkward while Aquaman saunters off to do his “I work alone” thing. But throughout the movie, they move past their clichés and become three-dimensional characters. When they finally decide to become a team, it doesn’t feel like it’s just because the title says so; it’s because they know that they are stronger together than they are separately. That, and they all kind of dig each other. Beyond the good characters and great chemistry lies a movie that’s just fun. Once it gets going, it really gets going, and it reminded me of watching the animated series back in the day. Not every single villain of the week had a huge arc or returned for another set of episodes. Sometimes, it was just some overpowered so-and-so that the League had to take out. The action was cool, the music got you hyped, and someone would say something that made you laugh (usually Barry). That’s basically what this movie is. There’s an evil that needs to be stopped and a team of heroes who have decided to come together to stop it. There’s some witty banter every now and then, some great visuals, and the type of action that’ll make you cheer for the good guys. It may be a bit cookie cutter, but sometimes, you’re in the mood for some easy, delicious chocolate chips. Not everything has to be grittier than sandpaper—sometimes, a fun, simple ride does the trick. I wish the DCEU would’ve started with this movie. It would’ve taken some plot tweaks since a good portion of the movie has them dealing with the events of Batman v Superman, but it would’ve been interesting to have this be the first thing we see before delving into everyone’s solo stories. Even with the movie’s flaws, if you’re a fan of these characters or just a fan of a superpowered throwdown, you should grab some popcorn and give this a watch. This has been a good movie year for DC, and I’m actually looking forward to seeing what they do next. And I never thought, when I first sat down for this screening, that I would be able to type that.